Ticks and fleas are the biggest pests in your pet’s life. No matter how hard you scrub with shampoos, conditioners and other treatments, those pesky little insects find their way back again. Nature, however, has the perfect solution to this problem. Pet collars made with Baltic amber are a natural alternative to repelling ticks, fleas and other pests which try to inhabit your pet’s coat. Unpolished amber, which naturally has electromagnetic properties, creates a static field around your pet’s coat and prevents ticks, fleas, and other insects from clinging onto the fur. With the collar rubbing against your pet’s fur all day, the strength of this field is increased just by them moving around. Besides ticks and fleas not being able to hang on, they are at another big disadvantage from your pet’s Baltic amber collar. When the collar is warmed up by your pet’s body heat, the amber releases an aroma (non-toxic to your pet) known as “terpenes” which ticks and fleas cannot stand. 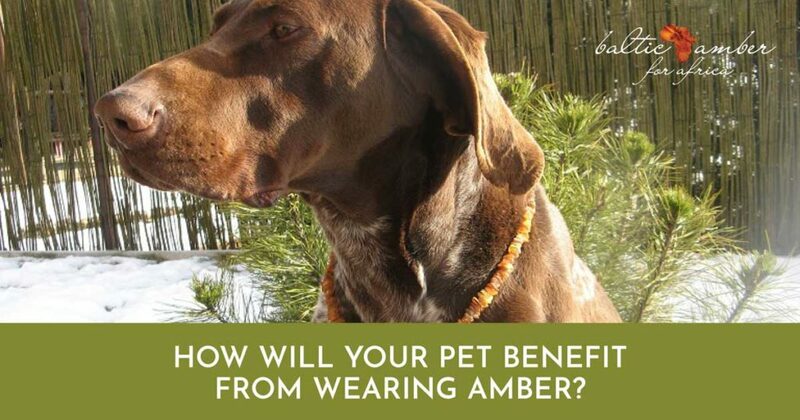 How else can amber benefit your furry friends? Well, the effects are said to be very similar to humans in that it can help: reduce inflammation, speed-up healing (especially after an accident or injury) and create a calmer state of mind. The Baltic amber collars effects begin to show within just three weeks of use. While collars made of amber may not be a 100% guaranteed cure to remove ticks and fleas, many pet owners swear by it, claiming that its effects on their pets are noticeable. Purchase our stylish range of unpolished Baltic Amber Pet Collars today. This entry was posted in news and tagged Amber, Amber For Africa, Baltic, Fleas Repellent, Natural remedies, Ticks.